After an intense few months of brainstorming in the coveted Transformers Writers Room, the gang led by Academy Award-winning screenwriter Akiva Goldsman has finally decided on two projects that will move forward at Paramount. The first is Transformers 5, which will be written by Akiva Goldsman himself, the man behind such classics as I Am Legend and A Beautiful Mind. The second is an animated spinoff that revolves around the robots' home world of Cybertron, tentatively titled Transformers One. Ant-Man writers Andrew Barrer & Gabriel Ferrari will be in charge of penning this origin story. At this time, Akiva Goldsman has a concrete blueprint he will use to complete the Transformers 5 screenplay. The sequel will start shooting in June, with Mark Wahlberg set to star and Michael Bay returning to direct his fifth film in the franchise. The sequel will likely hit theaters summer 2017. There is no set release date for Transformers One. Writers Andrew Barrer & Gabriel Ferrari are tasked with taking everything back into space for a look at where it all began. The fully animated feature film will be a true origin story that revolves around the planet Cybertron, explaining how the Autobots came to be. As well as their evil counterparts The Decepticons, and why a war must rage between the two clans. The entire writers room consisted of Akiva Goldsman, Steven S. DeKnight (Daredevil), Robert Kirkman (The Walking Dead), Art Marcum & Matt Holloway (Iron Man), Zak Penn (Pacific Rim 2), Jeff Pinkner (The Amazing Spider-Man 2), Andrew Barrer and Gabriel Ferrari (Ant-Man), Christina Hodson, Lindsey Beers, Ken Nolan and Geneva Robertson-Dorsett. As you can see, a lot of these guys and girls are walking away without a project under their belt. The group spent two weeks inside the Glee sound stages on the Paramount lot, working to mine gold from the existing backstory of this expansive universe. While the rest failed to set up any further spinoffs or sequels, we may see a few more Transformers movies announced down the line. The group worked as one cohesive team, sometimes breaking off into pairs as they worked through new ideas and collaborated to find worthwhile material revolving around the Hasbro toy line and animated cartoon that originated in the 80s. The team was tasked with proposing possible spinoffs, sequels and prequels. Once an idea was in place, they moved forward to generate a working treatment. Akiva Goldsman orchestrated the controlled inviroment, with everyone getting to pitch their ideas to franchise producer Steven Spielberg. Also in the room for these pitches were director Michael Bay, executives from Paramount, Hasbro's Brian Goldner and producers Lorenzo di Bonaventura and Mark Vahradian and Don Murphy. The consensus is that a lot of the ideas that got pitched weren't able to sustain a feature length movie. The Transformers universe turned out to be a bit smaller than expected once everything was plundered for ideas. 9 projects were pitched in all. Steven Spielberg felt that 5 of them could sustain a 2-hour movie. The writers room has three more years to take these ideas and generate working scripts from their treatments. The plan breaks down in an interesting way. 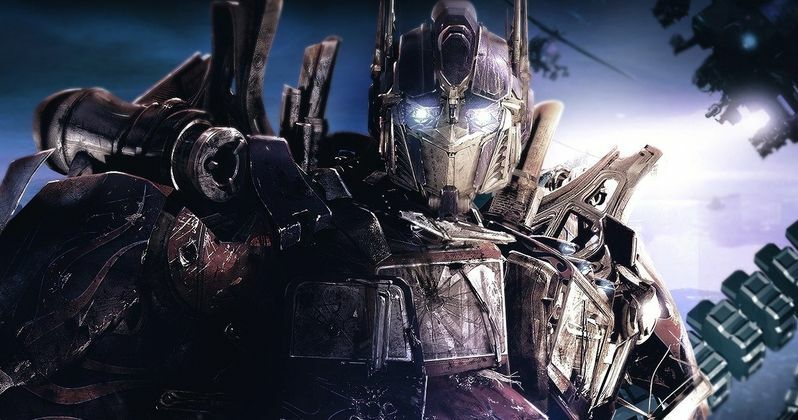 A loose outline has Akiva Goldsman finishing Transformers 5 first. Then the script for the animated movie will be finished. Next comes a script by Jeff Pinkner and then one from Lindsey Beers. Though, we don't yet know what these second two scripts are about, or if they are live-action versus animation. The team did put together a massive bible, with the best ideas going directly into the script that Akiva Goldsman is responsible for. It is said that they have enough of these 'great' ideas to fuel Transformers 6, even though it's unlikely that Michael Bay will direct any more of these movies after Transformers 5. The bible also contains enough seeds to generate possible future spinoffs. All of the writers were paid a low seven figures to write their individual script treatments. Deadline reports that Paramount and everyone else involved believe it to be money well spent. The writers were all well-behaved, and refused to turn it into a competition. Instead, they worked closely together to insure that they came at the franchise from every possible angle. The results of the writers room are said to have gotten both Michael Bay and Steven Spielberg very excited. How about you? Are you excited by the prospects of all these possible Transformers movies?